When it comes to purchasing a new tablet device, the issue of what apps it supports crops up and always. RIM’s upcoming BlackBerry playbook tablet would be able to support Android apps. Well, this is a bit of a surprise. 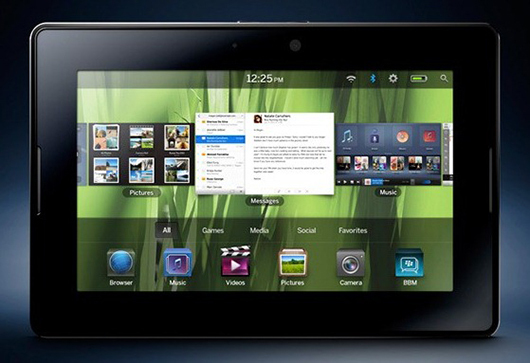 RIM is reportedly working to ensure that the BlackBerry PlayBook can support some apps from the Google Android platform. This interesting news comes from recently released YouTube video about the Blackberry Playbook Tablet. Just watch this video which has an exciting and important part, the secret words are just barely audible around 0:14 seconds into the clip. If you listen at around 14 seconds then you will hear the RIM rep also say that the PlayBook will support Android Apps.Check the full video out below. Blackberry PlayBook using the QNX operating system and both QNX and Android are based on Posix framework, meaning porting the code from Google’s OS should not be too difficult. But above video confirm that RIM is looking at supporting Android, and probably has plans to implement it.